Frank is a Crew Chief and has been with SERVPRO of Corpus Christi East for 15 years. His Institute of Inspection Cleaning and Restoration Certifications (IICRC) include water damage restoration, advanced structural drying, and fire and smoke restoration. His certifications also include stone/ceramic tile cleaning and carpet cleaning, plus he is a licensed Mold Remediation Worker in the State of Texas. In addition to being a crew chief in the water and fire damage restoration, Frank is also our estimator for fire and smoke damages. Frank's job knowledge and his willingness to go above and beyond for our customers makes him a valuable asset to our company. 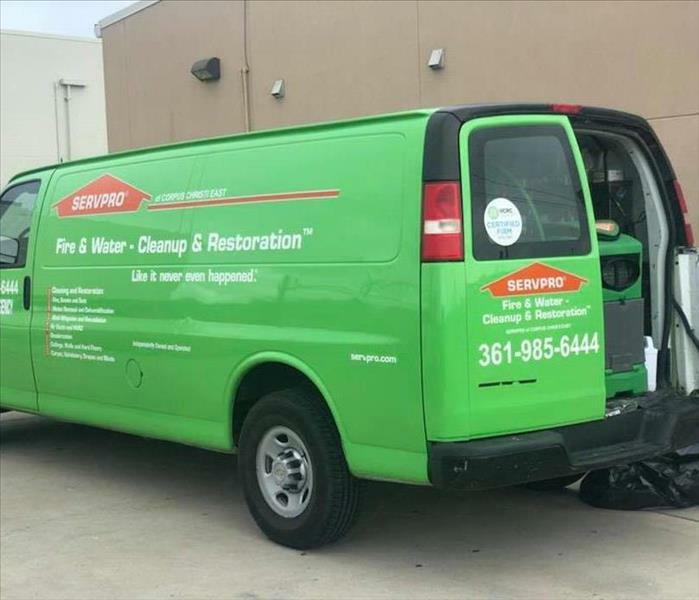 Jeremiah has been in the water and fire damage restoration industry for 16 years, and 9 of those years have been with SERVPRO of Corpus Christi East as a Crew Chief. His Institute of Inspection Cleaning and Restoration Certifications (IICRC) include water damage restoration, advanced structural drying, and fire and smoke restoration. His certifications also include stone/ceramic tile cleaning, carpet cleaning and upholstery cleaning. In addition to these certifications, he is a licensed Mold Remediation Worker in the State of Texas. He is professional, courteous, extremely knowledgeable and more than capable of handling your emergency situation. Jimmy is a Crew Chief and has been with SERVPRO of Corpus Christi East for 4 years. He holds an IICRC certification for water damage restoration. Jimmy is a licensed Mold Remediation Worker in the State of Texas. His experience and job knowledge in water and fire restoration, and mold remediation makes him well qualified for any project. Marie is our Office Manager and she has been with SERVPRO of Corpus Christi East for two years. She holds an IICRC certification in water damage restoration. Marie is very knowledgeable in the water and fire damage restoration industry, and is a great asset to our customers as they try to work through their insurance claim. 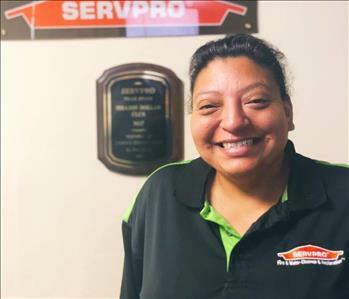 Christy is a Crew Chief and has been with SERVPRO of Corpus Christi for 11 years. 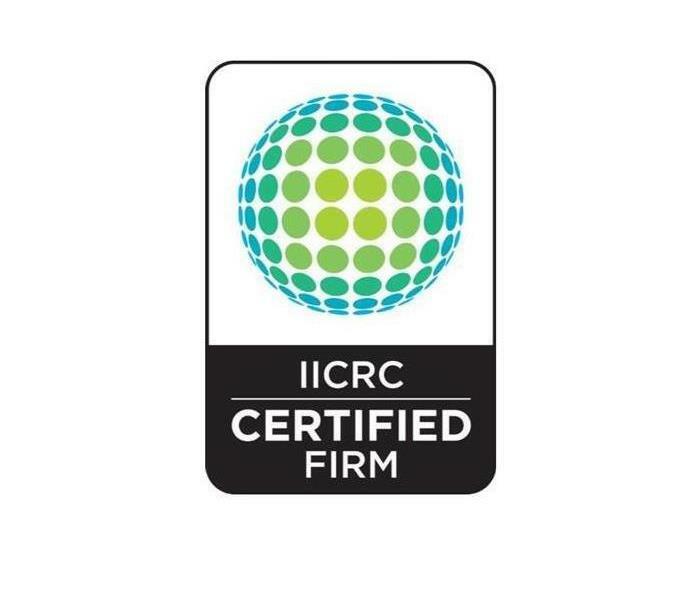 Her IICRC certifications include fire and smoke damage restoration, odor control, and water damage restoration. With Christy’s job knowledge and excellent customer service, she is ready to help with fire and smoke losses. 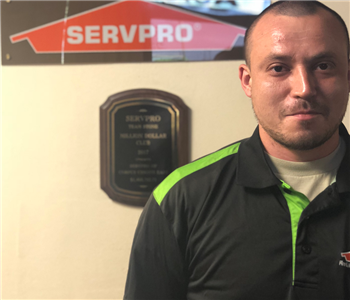 Andrey is a Crew Chief and has been with SERVPRO of Corpus Christi East for 2 years. He is IICRC certified in water damage restoration, and he is a licensed Mold Remediation Worker in the State of Texas. Andrey is always ready for any challenge, and his job knowledge and customer service make him a valuable asset to our company. 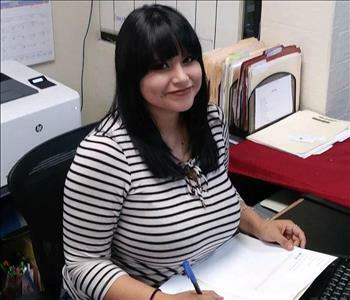 Alana is our Administrative Assistant. She answers the phone and is ready to assist our customers with their inquiries or help coordinate the crews in an emergency. She also helps with general office tasks and communications. Alana is a hard worker and we are happy to have her on our team.